Business problems can often become clouded by layers of complexity and overlapping issues. Potential strategies can become obscured. Proximity to a situation or single industry can create a biased thinking, not necessarily wrong but tilted in a direction that may not recognize all possibilities. Tactical execution plans can become disjointed, with weak connections to strategy and inadequate resourcing. Success comes with an approach that values . . . Clarity. Unpack and properly define the core problem and issues. Cohesion. A robust strategy knits together all the critical element of the problem, not just the easy ones. Alignment. Create clear linkages between strategy and execution, with appropriate resource levels. Execution. A resolute drive toward objective milestones. 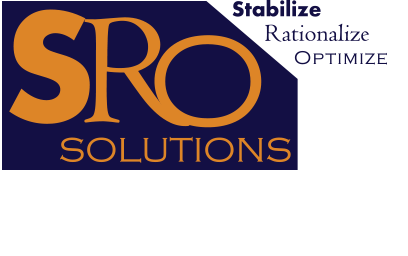 SRO is the partner and catalyst to help you overcome your business issues.